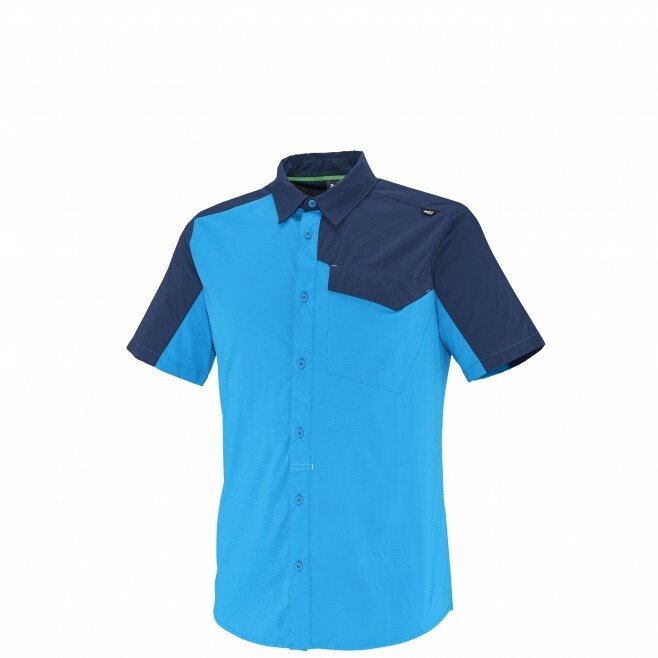 For fans of the alpine outdoors, the technical stretch DEEP CREEK SS SHIRT provides a continuously fresh, light feel plus great in-action freedom of movement. DRYNAMIC RIPSTOP STRETCH, a very rugged and stretch polyamide/elastane blend, has cross-hatch reinforcement threads that durably resist abrasion and efficiently halt incipient tears. Maximum breathability and quick drying means the body stays dry - and protected from UV rays by a UPF40+ finish. Easy care and long-lasting, this shirt guarantees great versatility.